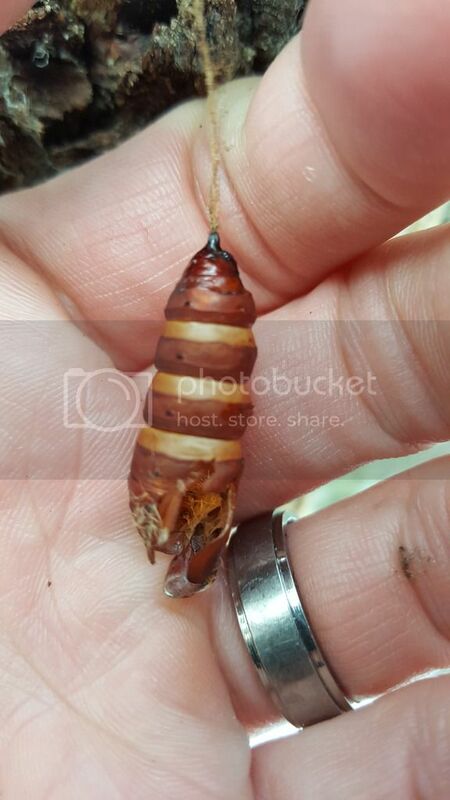 That's a chrysalis from a butterfly....kind of like a pupal shuck on a caddis larva. The caterpillar hangs from its silk and then its skin hardens to form the chrysalis which the larva then morphs into a butterfly inside. Who needs a Mop when you can clean up with a Shop Vac? I'm going with Gypsy Moth chrysalis. That is correct, you win the Wulff Triangle Taper fly line along with a free float from Dairy Queen.